Everyone needs a little sparkle in their life. 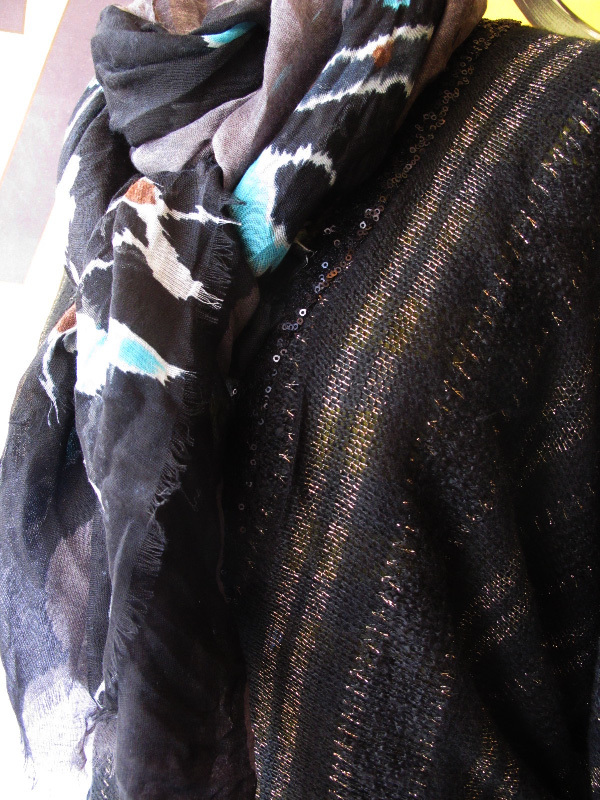 How about some gorgeous gold shine woven into a black knit from A+RO? 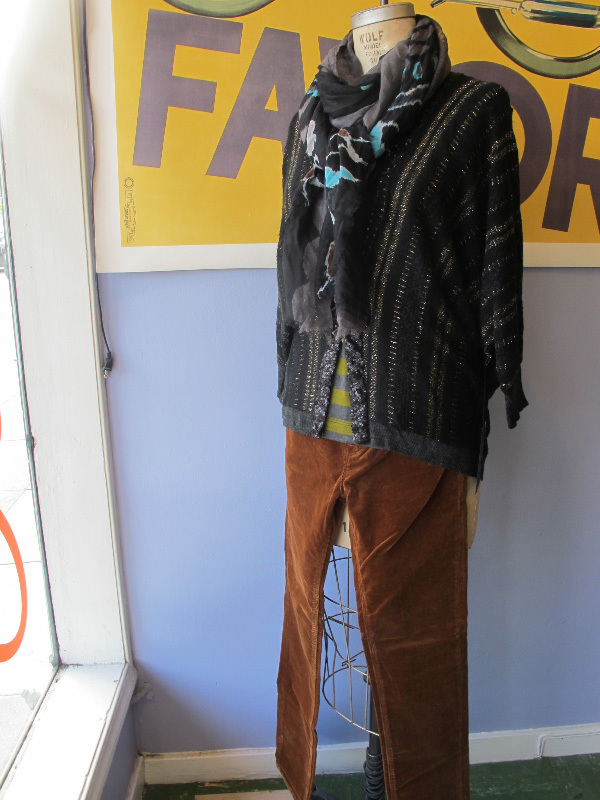 We love how this sweater can glam up a room but can also be paired with everyday pieces like these Cult of Individuality cords or this turquoise pattered scarf from Subtle Luxury!